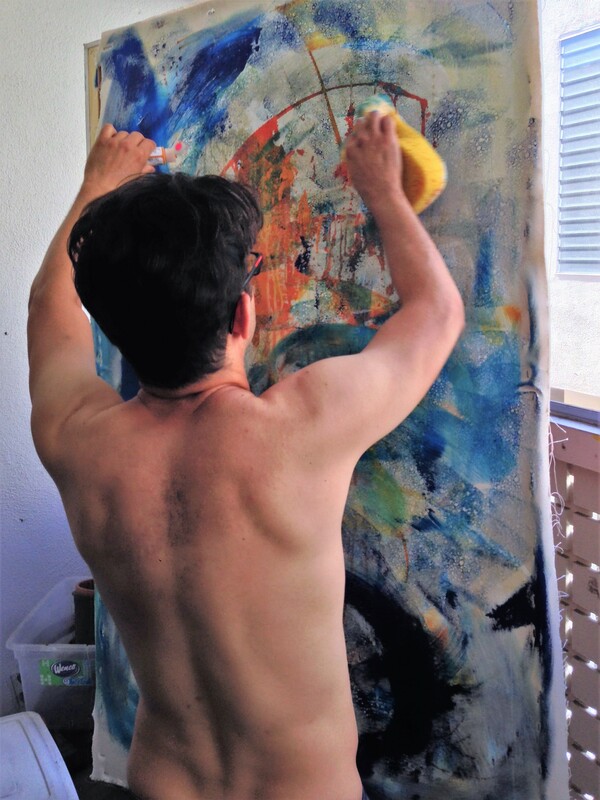 Home Artist Exciting News – Buy The Artwork Of Nestor Toro At His Site! Nestor Toro who is the featured artist has e commerce to his artist’s site NestorToro so collectors can now purchase his artwork directly from him! This gives collectors the opportunity to not only browse his available artwork but also to view the vast work that has been sold to collector’s all over the world! Nestor Toro is an internationally collected artist and is regarded as an emerging abstract artist based in Los Angeles California USA. You will receive the SAME one-of-a-kind original artwork you might have seen on the various galleries that represent Nestor Toro and his fine art abstracts artwork. You will also receive exactly the SAME careful professional packing and shipping to assure your artwork from Nestor Toro arrives in perfect condition anywhere in the world! You will also receive the SAME signed Certificate of Authenticity to assure that you have a genuine work by abstract artist Nestor Toro which will protect your investment in his artwork which can be found on 5 continents and countries such as Japan, Singapore, Malaysia, Australia, Argentina, Colombia, United States, Canada, Great Britain, Ireland, France, Germany, Italy, Spain, and Austria to name a few. Visit our featured artist’s website to view ALL HIS original fine art abstract artwork and enjoy the pleasure of owning an emerging abstract artist before his prices double yet again! abstract artwork for sale, abstract expressionism, acylic, buy abstract art, contemporary art, contemporary artist, emerging abstract artist, emerging artist, Los Angeles abstract art, Los Angeles abstract artist, Los Angeles abstract artist Nestor Toro, Nestor Toro, Nestor Toro Los Angeles abstract artist, original abstract art, Toro.